The distance between two cities is just 200 km, there are several ways to cross the border of Mainland China and Hong Kong. The cost of the bus ticket is around 250-300 HKD, it takes about 3,5-4 hours with several stops. The buses start from the airport terminal at 7 a.m. till 10 p.m., interval 15 minutes. When choosing the bus, double check the end destination in Guangzhou. The bus is cheaper, because you do not need to spend money for taxi or subway, there are many stops in popular tourist places of Hong Kong, the end stops in Guangzhou are also very convenient for Guangzhou travelers. One of the pick up location is close to a big hotel Causeway Bay Metropark Hotel, other locations are close to the travel company CTS (China Travel Service). 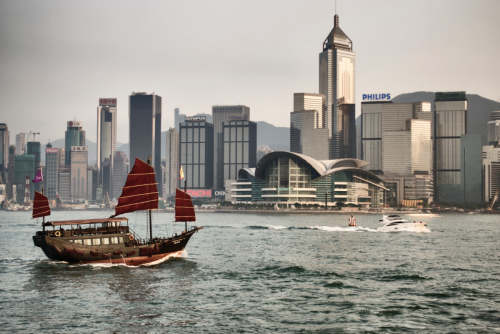 CTS offices are situated on the main streets of Hong Kong. Bus ticket costs 100 HKD, the schedule is published at China Travel Service website. It takes around 4 hours to get to Guangzhou, but please mind the traffic. Those, who love sea trips may use the ferry TurboJet. Definitely you will avoid all the traffic jams, and in 60 minutes you will arrive Guangzhou port Nansha. The cost of ferry trip is 310/417 Hong Kong dollars, it depends on a ticket class. The only inconvenience of the ferry TurboJet - it goes once in a day (11:15 a.m.) and twice a week (Thursday and Saturday). There is a railway station Hung Hom Station Kowloon (紅磡站) in the center of Hong Kong city, and that is the main railway station if you want to go to Guangzhou, China. Also available another China destinations - Shanghai, Beijing, Shenzhen and others. 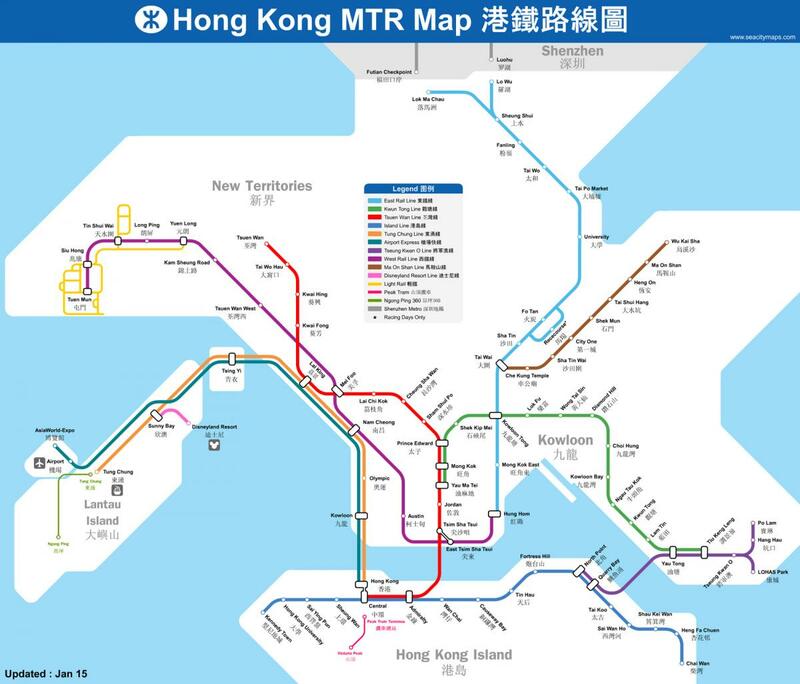 The railway station is located on Kowloon island of Hong Kong, and if you go by subway you should get off at the station Hung Hom Station (cross of blue and purple subway lines). 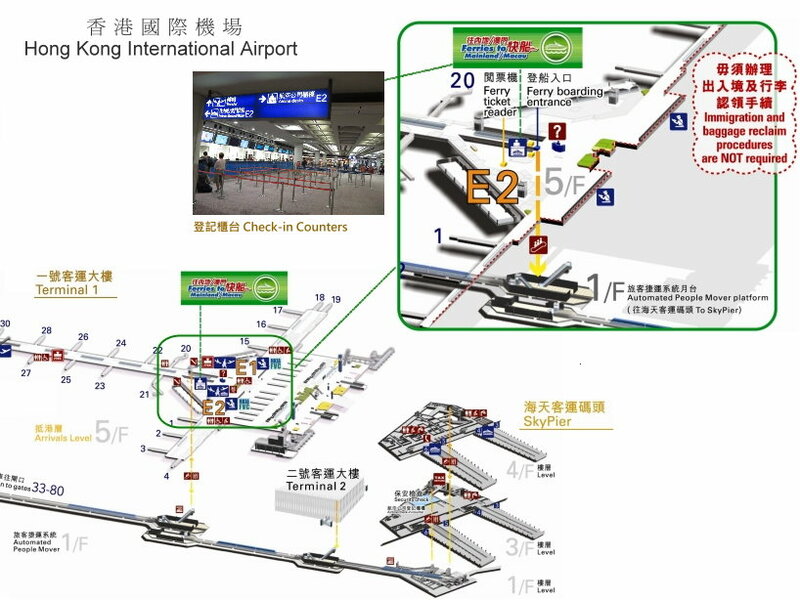 If you arrived to HKIA, please use express train (90$), that arrives directly to the station Hung Hom, to get to the Railway platforms go to the level P (Platforms). There are two types of the trains Hong Kong - Guangzhou, one is direct, another has stop in Shenzhen. From Hong Kong Railway you will arrive to Guangzhou East railway Station, Tianhe district, address Linhe Middle Rd 1 / 东站路1号. That is very close to the center of Guangzhou and it’s main financial district. 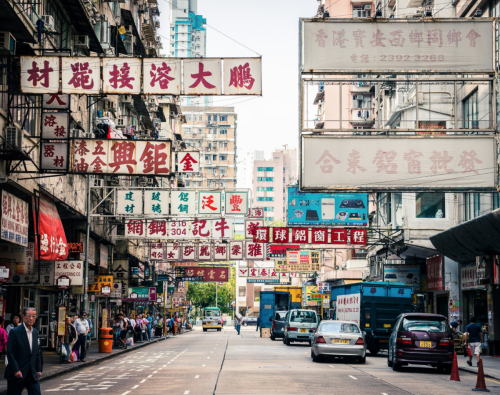 The destination Hong Kong - Guangzhou is very popular among tourists and businessmen, so it is better to buy the tickets in advance , otherwise you have to wait for hours the available train, or go by another train, where you have to get off in Shenzhen and change the train. Direct Train Hong Kong - Guangzhou. The first train starts at 07:25, the last one at 20:01, it takes around 2 hours to get to Guangzhou, and the ticket costs 190 HKD. The traffic interval is around 40060 minutes. The schedule of the trains you may check at the website of Travel China Guide. Passport control is held at the railway station, before entering the train. Depending on the day, it may be longer than usual (10-15 minutes), so you should arrive earlier to avoid missing the train. When you arrive to Guangzhou East Railway Station, firstly you should pass the checking at China customs. Closer to the weekends or during the National Holidays the number of tourists and other passengers increase a lot, and it is very hard to get the ticket for the direct Hong Kong - Guangzhou train. Changing train is not very convenient but still very fast and cheap way to enter China. 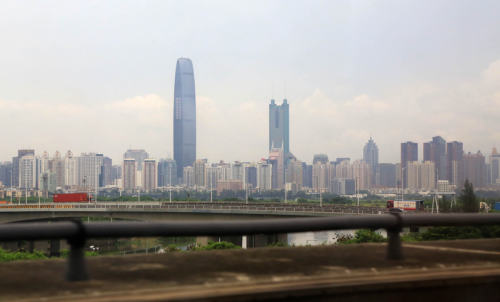 From Hong Kong you should take subway directly to Shenzhen city - there are 2 lines connecting Hong Kong and Shenzhen, one stops at Lok Ma Chau/Huanggang border. another at Lo Wu/Luohu border. Subway ticket is 37 HKD. Most of tourists prefer to pass the passport control at Lok Ma Chau , because that is 24-hour customs. Despite it’s inconvenience, subway trip through Hong Kong is very pleasant - you will see green hills of Hong Kong, skyscrapers and city landscapes. When you exit Lok Ma Chau, there is a border bridge that connects Hong Kong and China, so crossing the bridge you get to Shenzhen, China. To go from Shenzhen to Guanzghou take a train or a bus. Trains available at several railway stations, every 15 minutes, fast speed train will arrive to Guangzhou in 30 minutes. The fast speed train is called Gaotie 高铁, the number of this trains starts with G letter. Goatee train starts from Shenzhen North Railway station (深圳北站), another railway stations provide regular speed trains. To reach the train station take the subway, the subway entrance you will find when exit the customs. Another way to get to Guangzhou - coach buses, and the ticket is cheaper than train - 45 RMB. But journey takes longer - about 3 hours. Luohu Bus Station (罗湖长云汽车站), address 罗湖区人民南路1168号. Yinhu Bus Station (银湖汽车站), address 福田区8银湖大厦. Futian Bus Station (福田长云汽车站), address 福田区深南大道8001号. Qiaoshe Bus Station (侨社汽车站), address 罗湖区和平路1021号. Chinese and Hong Kong government develop the transportation routes between this destinations and now they construct the new China destination - Panyu district of Guangzhou city. So if you travel from Hong Kong you may arrive directly to Guangzhou Panyu, the district of logistics warehouses and factories.